The fray is where the real work takes place. The fray is where action happens. 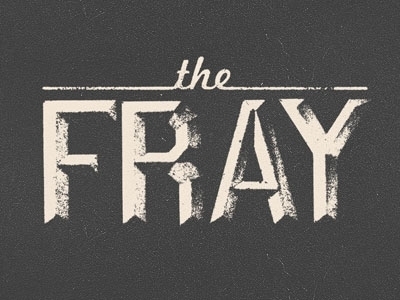 The fray is the part of the organization that the Doers call home. Early in my career I operated in the fray and enjoyed it immensely. At times I thrived in it and at times I struggled with it, but I always took great pride in being a part of it. At this point in my career, I acknowledge that it has been more than a few years since I operated in the fray. There are few who are able to stay in the fray for their entire career no matter how much they might try. For most of us there comes a time that promotion mandates that we transition to roles that call on us to orchestrate the fray. Commanding Officers don’t operate in the fray, they orchestrate it. Executive Assistants often feel as though they are in the fray, but those who are executing effectively quickly realize that their role is to orchestrate the real doing. I have spent five of my last seven years bouncing between those two roles. I’ve enjoyed it immensely and feel pretty good about my abilities to orchestrate. But a funny thing happened to me while evolving into an orchestrator. My abilities to operate in the fray diminished greatly. I know this because I am back in the fray and I am struggling. The team I am on now is one where the fray consumes most of us. And quite honestly, it has consumed me. It’s not necessarily a bad thing, for it is where we are as a team…a start-up in the truest sense. But as with any team, orchestration matters. Getting my bearings continues to take me longer than I care to admit and I certainly have struggled over the last five weeks, most of the time feeling as though I am caught in an undertow just trying not to drown. And being the senior military member on the team I feel two things. One is a need to live up to the expectations my teammates have for me and the other is to help organize the fray. For there is no orchestration without organization. I’ve always believed that the primary duty of the team leader is to be the leader the team needs and not necessarily the leader you want to be. Once again, I find myself distinguishing between the two, for I am fairly confident that being the leader I want to be isn’t in the best interest of this team…at least not yet. This environment is like no other in which I have served, this mission is like no other I have supported, and this team is like no other with whom I have lead. Admittedly, up until last week I was questioning my ability to even understand what type of leader this team needed, let alone be that leader. I was not pleased with my pace of integration within the team. Honest talks about my concerns, my self-acknowledged shortcomings, and my observations about the team with a new addition to my Personal Board of Directors, a longtime teammate, and my wife continue to be instrumental in getting me over the hump, or one might say, getting my mojo back. I don’t know that I will ever feel as comfortable in the fray as I once did and quite honestly, that is no longer a priority of mine. Organizing the fray is the priority. Orchestrating the fray is my mandate. Yes, organizing and orchestrating the very fray in which one is operating is a challenge, especially when that undertow keeps grabbing you. But it’s a challenge I intend to rise to. And most certainly a challenge I am not alone in addressing. Are you more comfortable operating within, organizing, or orchestrating the fray? How do you personally transition between the three? Who do you lean on when the undertow is getting the best of you? I appreciate this post so much. Thank you for sharing. I feel your struggle as I, too, try to find my way between operating within and organizing the fray… I personally love operating within it; however, my current team also needs (quite desperately) organization whether they admit to it or not. I know what I need to do, and I rise to the challenge as well, but the struggle is real. I am confident you will rise well above and beyond your challenges, and be the leader your team needs as well as the leader you want to be. Glad it resonated with you. Writing it was therapeutic for me. It’s kind of strange being that leader who is accustomed to lobbying for less structure to one who is attempting to create more. Like you, giving the team what I think they need. I really enjoy reading what is going on in your thought process. Look forward to working with you when I return from the Stan. “Executive Assistants often feel as though they are in the fray…” Hey! I resemble that remark! Well… it’s actually true. I’m looking at moving from being an EA where I have no leadership responsibility and just schedule meetings and take notes and send emails to a new job that will involve actually being a leader of people and things again, and I’m both excited and nervous about going back into the fray. Unfortunately (or glass half full…still deciding), I find myself trying to orchestrate from within the fray. Many people with many little sticks waving wildly, trying to create a harmony among other constantly changing notes (efforts). Such is the frustrating part of having dependencies on others who are trying to figure out their own part while trying to keep time with the chaos. The constant doing gets in the way of doing right. The challenge seems to be to try to figure out how ro play the trumpet using drumsticks (read: resourcing issues). Luckily, I have people who are in the same situation who are willing to hold the drumsticks so that I can blow a note or two. They are my rock and I am theirs. Life’s a journey, let’s begin.